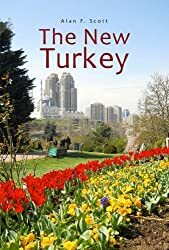 This entry was posted in ANZAC, Atatürk MK, Çanakkale, Gallipoli, history of Turkey, New Zealand, tourism in Turkey, treasures of Turkey and tagged New Zealand, tourism. Bookmark the permalink. After 15 years of being in New Zealand I still struggle with the concept of Anzac Day. Let’s see if I got this right: on 25 April 1915 a bunch of Aussie and Kiwi troops tried to invade Turkey and Turkish troops protected their sovereignty by shooting a large number of the invaders. Am I missing something here? What exactly is being celebrated? Turkey’s right to defend themselves? Yeah, good question. The whole business has morphed over the years. In the days of my youth it was a kind of get-together day for the old Returned Servicemen, with the established churches and conservative politicians getting in on the patriotic act. Over the years it seems to have become a kind of surrogate Independence Day for two countries that still cling to Mother England’s apron strings but want to think of themselves as having their own identity. As for me, in all the years I’ve been in Turkey, I’ve visited the cemeteries and battlefields several times – but always avoided being anywhere in the vicinity on 25 April.